Gustav Mahler's 150th birthday was celebrated yesterday. The great Austrian composer once predicted that his time would come and history has proven him right. His ten symphonies are now fixed stars in the international orchestral repertoire, despite their great technical demands on players and the financial demands on orchestra managements thanks to the large number of players required. But as recently as the 1960s Mahler's music was still exotic and rarely performed. 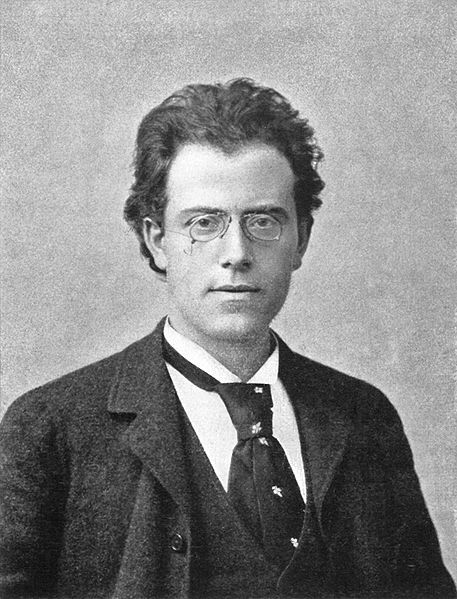 Many commentators have commented on parallels between Mahler's musical world and the spiritual needs of our world. The man himself, a complex mix of intense and demanding perfectionism and a touching fragility seems to resonate with our time. His struggle with religious belief makes Mahler familiar to us. He wants to believe but never quite succeeds. Gustav Mahler is 150 years old and yet an artist of our time. Many happy returns! It's telling that when Penderecki embraced post-modern language his model was Mahler.